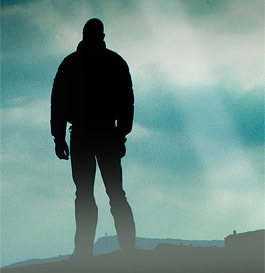 Nick Petrie’s Drifter – Reacher-esque? “Lots of characters get compared to my own Jack Reacher, but Petrie’s Peter Ash is the real deal.” That’s the blurb from Lee Child on Nick Petrie’s debut mystery, The Drifter. I try not to go into a book with preconceived notions, but once read, that blurb tends to influence your perceptions. 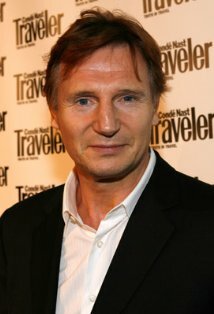 And Ash does have his similarities to Reacher. Like Reacher, Ash has served in the military, is on the road and has few ties. He’s also single-minded and a handy guy to have on your side in a fight. They both have a strong sense of loyalty and their own definitions of right and wrong. And I’m a big Reacher fan, so this is setting the bar high. The Drifter starts with a prologue – who is this man in the black canvas chore coat driving around in a pick-up truck with false id, buying fertilizer? We don’t know, but by the end of the book, we get to know this guy, his profession and his unusual code of honor that results in his partnering with Ash to foil a terrorist plot at the last minute. So, while I usually an not a prologue fan, I give this one a thumbs up because it builds suspense and is integral to the plot. In the meantime, Ash is on his belly, crawling in the dirt under Dinah Johnson’s porch and trying to figure out a way to overpower a 140-lb. pitbull mix that’s dead-set against coming out, without getting maimed. His solution is clever and humane, and once he’s subdued the dog and tied it to a tree, his next action is to give it water from his own water bottle. “Dog’s thirsty,” he explains to Charlie Johnson, Dinah’s son. And thus, in the first chapter, we know a lot about Peter Ash. 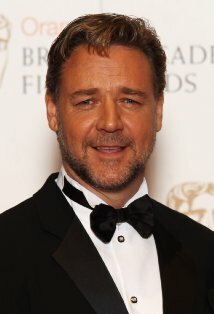 We also know a lot about Nick Petrie – he knows how to set the stage, reveal character, and build suspense. Over the subsequent chapters, we find out why Ash is there – to atone for not being there for his Marine buddy, Sgt. Jimmy Johnson, who committed suicide the month before, leaving behind a widow (ER nurse Dinah) and two boys (Charlie and Miles). His pretext – doing “what needs to be done” as part of a VA program, which results in his offer to rebuild the Washington’s falling down porch. His baggage – he is suffering from PTSD and can only stand to be indoors for short periods of time. Of course, the straightforward narrative becomes complicated almost immediately, when Ash discovers the dog was guarding a suitcase containing $400,000 and four packs of C4 explosive under that porch. A hard-looking case with a gun and a black SUV is lurking about. And Dinah turns out to have resources of her own, in the form of a long-time tie to a smooth, smart and strong local crime lord named Lewis. Ash’s unraveling the connections that lead to a hedge fund and its Machiavellian owner is a complex but gripping process. The plot? To blow up a bank, throw the markets into unrest, and make a fortune. Along the way, Ash discovers the truth about his friend Jimmy, builds a strong bond with Jimmy’s dog Mingus, and learns how good people can be twisted to do bad things. In the end, good guys turn out to be bad guys, bad guys turn good, and the day is saved following a super-scary chase scene. The Drifter is a classic thriller, and Petrie worked hard to lift it a bit above through character complexity. He has varying success with that – the emphasis on the psychic impact of combat can be seen as exploitative, and the upright nurse, crime lord with a sensitive side, callous hedge fund owner, and crooked cop are pretty formulaic. But it all hangs together quite well and the Ash character is compelling, so all told, it’s a very strong debut and I look forward to more from Petrie. It’s a tough call where to place it on the rankings. Each of the four books are so different, with Under the Harrow falling in suspense, Dodgers in literary, IQ detective and Drifter thriller. After careful consideration, I’m going to place it #2. As a sheer page-turner, it’s a good one, but not quite up to IQ. But I have to say, I’d recommend all four of these books – this is a great crop of debut novels and I’m eager to see how the last two stack up! Lee Child’s new Jack Reacher book, Night School, has two strikes against it, according to my husband. One, Reacher’s working with a team. Two, it’s set in the past. 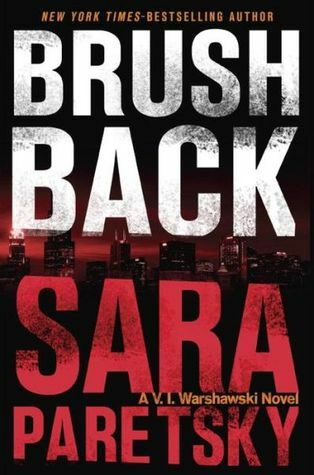 According to book critic-slash-graphic designer-slash-artist Mr. B, the best Reacher stories are present-day and Reacher, solo, against the bad guys. All of which goes to prove that Karen and her hubby don’t always agree. Set in the mid-90s, Night School features a 35-year-old Reacher teaming up with his opposite numbers at the FBI and the CIA for a covert operation in Germany. The goal: to find out what jihadists would pay $100 million for, where it came from, and who is “the American” who is selling it to them. And, of course, to stop the sale and recover whatever it is. Because it’s sure to be bad. So here is what Reacher naysayers won’t like about Night School: Reacher wins all his fights, even when it’s eight to one (or should I say eight to two, since the charming-yet-lethal Sgt. Frances Neagy does finish off the last one, arriving just in the nick of time). Reacher is irresistible to the one high-ranking, ultra-attractive older woman on the team, and their sexual escapades are almost too much. (Again? she asks. Yes, but then again, he’s younger than she is.) He throws away his clothes and buys new ones, even when he’s not moving around and could go to the laundromat. His insights almost always pay off, eventually. And the characters are all about 2 inches deep. And of course, what fans like: All of the previous paragraph. Plus the twistiness of the plot. His breaking the rules to save the innocent. Plus, Reacher’s infallibility when it comes to sizing things up and doing what needs to be done – even if it’s shooting an unarmed man in the heart. And then the head. Because he’s a really, really bad man. So, count me among the fans. I know it’s a formula. But I like the formula. I like 6’5″, 250 lb. guys who are ultra-cool under pressure. (Not that I know any in real life. It would probably be super scary and I’d back away, slowly, if I met one.) And with Night School, you get what you came for, in spades. 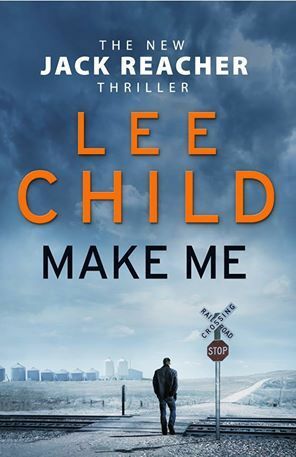 First up is Lee Child’s Make Me. It’s classic Jack Reacher – the outsider rolls into town; encounters a plucky, pretty lady; uncovers a hornet’s nest of evil; vanquishes the foes, emerges victorious! This time, Reacher’s traveling cross country with no real deadline when he decides on a whim to get off the train at a rural crossroads called Mother’s Rest (the town!). His goal: to figure out who the mother is and why she’s resting. Little does he know that his big size and self-assured manner marks him. He pairs up with a former FBI agent, now private detective, who’d come to Mother’s Rest to lend a hand to a colleague (the plucky, pretty lady!). And in this outing, the evil-doers are truly unnervingly evil… and you won’t figure it out until Child wants you to, because there’s the first level of evil and then another level even more evil below it. It’s no spoiler to let tell you that Reacher is, indeed, victorious. Make Me‘s one of the best. And speaking of long-time favorites, Sara Paretsky is back with a new entry in her series about Chicago PI V.I. Warshawski – Brush Back. I recently moved to Michigan after 20 years in the Chicago area, but Paretsky is a Chicago native who lives there still, and she writes about neighborhoods that I have never seen but accept wholeheartedly. This time around, V.I. reluctantly agreed to help her high school boyfriend prove that his mother did not kill his sister – despite the fact that said mother served 25 years for the crime. She’s out now and is just as unpleasant today as she was back then. And worst of all, she’s blaming V.I.’s long-dead but beloved cousin and pro hockey player Boom-Boom Warshawski for her daughter’s death. Between neighborhood ties, the mob, and crooked politicians, V.I. is lucky to escape bloody, but unbroken and reveal the truth. Mea culpa. Back with Jack Reacher! So, for anyone who has missed me: A) I’m sorry. And B) I’m back! I’m happy to be back to blogging after a crazy few weeks. Fortunately, I can report that while I was not reviewing, I was definitely reading, and there is a humongous stack of books on the “to review” list. 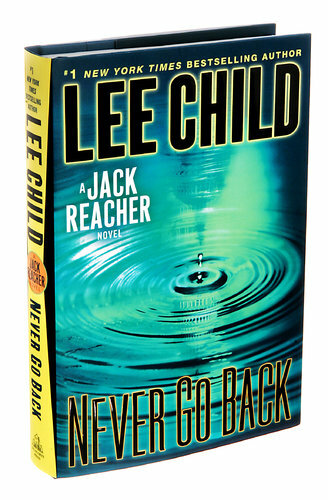 I’ll start off with an easy one: Lee Child’s new Jack Reacher novel, Never Go Back. There’s no deficit of reviews out there. In the Chicago Tribune, Michael Robbins is critical, but “swigs down” the latest Reacher anyway, all while positing that perhaps the time has come for Lee Child to move on to another protagonist. Meanwhile, at the New York Times, Janet Maslin is an out-and-out fan. She’s got a few nits to pick, sure, but mostly it’s about the ride. So, in the spirit of full disclosure, I’m a Reacher fan. One who has read every single Reacher novel and the few short stories I could find. 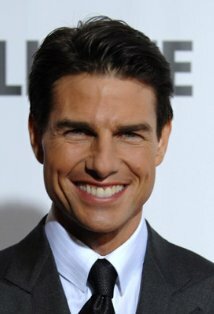 One of those people who got super-annoyed when Paramount cast Tom Cruise (Tom Cruise!) in the movie. (Read more about that here.) 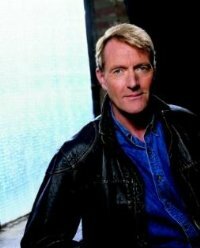 Seriously, Lee Child himself would have been a better choice. Some of the books are better than others, but they’re all pretty much thumbs up in my book. My husband, on the other hand, read a couple and then gave up on Jack Reacher. He demands character development. Needless to say, I liked Never Go Back. I agree with every nit picked by both Michael Robbins and Janet Maslin, but that didn’t spoil it for me. I buy that Reacher wins every fight he’s in, no matter how outnumbered or out-gunned. I buy that almost every woman he meets is both attractive and romantically available. I like his way of thinking and his way of talking. I was even okay with the book where we were not sure at the end if Reacher was killed. (Spoiler: no, he wasn’t.) But I do think that Child cheated, big-time, with one of the plot threads. It kinda bugged me. I’ll say no more.